I am so happy you are looking to switch your dog or cat from a dry, highly-processed pet food to a fresh, natural raw pet food diet. Yay! You should be extremely pleased with yourself that you are ready to make the leap. Your dog or cat’s health will improve dramatically after you change to a raw pet food, such as Darwin’s Natural Pet Products. But the big question is always, HOW. SLOWLY. If your pet has been eating dry dog food for most of his life, his gut may not be in the best shape. But don’t worry, by switching to a raw dog or raw cat food, you will be working at restoring his gut microbiome, which is essential to good health. Plan on transitioning your dog full time to raw over about 7-10 days. By changing your dog’s food from dry kibble to raw slowly, you will help prevent gastrointestinal upset. However, don’t be surprised if your dog’s stools change. You may even notice a little mucus coating as your dog goes through a detoxification and his body eliminates toxins he has built up over time. As your dog eats more fresh food, he will also start to utilize the nutrients and eventually his stools will likely become firmer and smaller. This is all good! Days 1-3: Start your dog’s transition with a 75/25 split of his old food and new food. Days 4-5: Increase the raw food to a 50/50 split. Days 6-7: Increase the raw food to a 25/75 split. Day 8: You did it! 100% raw. Oh, the finicky cat! It’s not necessarily that your cat is finicky; it’s just that cats can be leery of change, especially when their cat food is changing. But changing your cat from a dry cat food or a canned cat food to a raw cat food diet is worth the time and effort it may take. If your cat is used to having a bowl of food available 24/7, that’s the first thing to change. Start with four regular feeding times per day. Place your cat’s current food down for about 30 minutes, then remove what he doesn’t eat until his next feeding. Be patient with your kitty. However, it’s important to realize that cats will starve themselves, so do not allow more than 24 hours in between meals. Once you have established a cat feeding schedule, add about ½ tablespoon of the raw cat food to your cat’s current food. At this point, you just want your cat to start getting accustomed to the taste, smell and texture of the food. Just like raw dog food, the food should be at room temperature, not cold. If your cat refuses, add even less raw with your cat’s regular food. 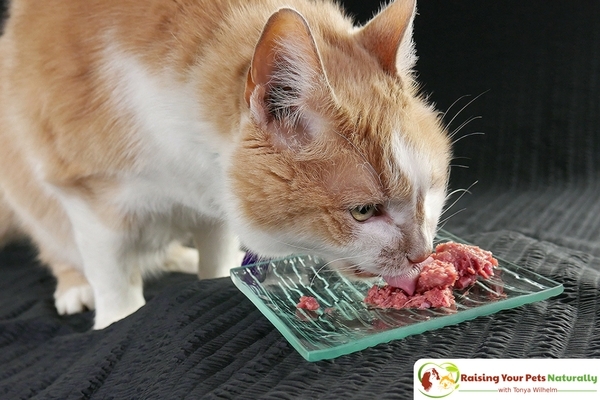 Once your cat is eating his raw and dry cat food, very gradually increase the amount of raw and decrease the dry. SLOWLY. You can expect this transition to take about four weeks. If your cat is eating a mix of raw and kibble, but not quite making the 100% switch, that’s okay. Just keep going, but a bit slower. Your patience will be worth it in the end! 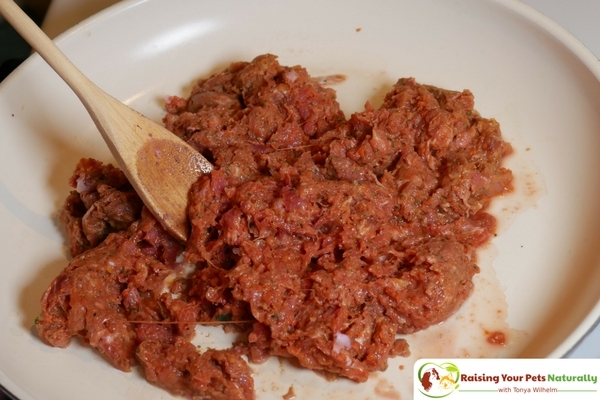 Raw pet food should be served at body or room temperature. To achieve this, stir in a little warm water. Most prepared raw diets can be lightly cooked (raw), which can help during the transition period. Once transitioned, lessen the cooking to get back to raw. Use a flat plate to feed your cat. Not all pets tolerate a raw pet food diet. Some pets have a weakened immune system and they cannot process raw food. In this case, consider lightly cooking a prepared raw or a home-cooked diet. If you are concerned, speak to a holistic vet specializing in fresh diets. Be patient, but don’t starve your cat. Cats must eat every 24 hours. Once you have successfully switched your dog or cat from a dry pet food to a fresh, raw pet food brand, you should start to see your pet’s health improve. His coat will likely get shiny, his energy will improve, and he will be so happy he is eating a fresh and healthy pet food. But don’t stop at one protein source; it’s important to rotate proteins and other ingredients to ensure optimal health and nutrition. More on that topic soon! I really need to do this. One of our dogs has terrible skin allergies and does so much better on home cooked food. I hadn’t thought of going raw which is probably an even better idea. This is a really useful article, I like the breakdown of how to gradually introduce the raw food and it is so much better for the animals and more natural. Ive been thinking aboug doing this with my cat for some time but was put off by the fact she is so fussy about food but I think I will give your method a try! Ya! So glad. Go for it. We don’t have a cat but I’m sure this is interesting for those who do. 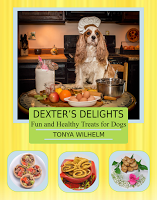 Our dog eats dry dog food but I have thought about switching to a raw pet food. Thanks. Switch, go for it!!! You and your pets will be so happy. I never had any pet of my own. I didn’t know they have a transition stage when changing diets. Interesting! Making a slow transition is important when changing your pet’s food. Changing too quickly can totally lead to tummy upsets! 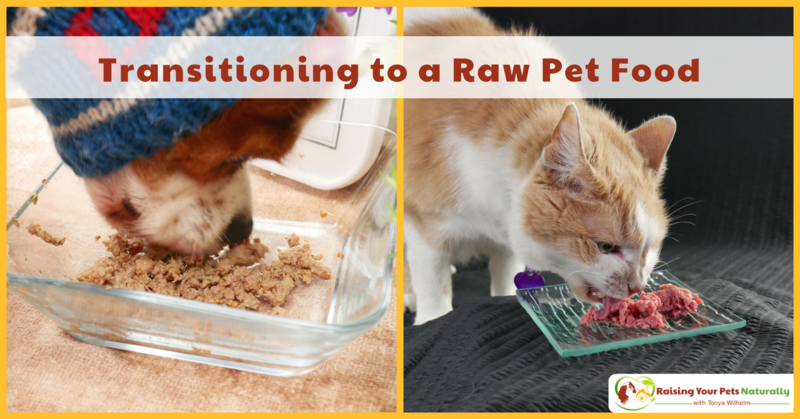 I’ve always wondered about how to actually transition pets to a raw diet! Thank you, I’ll refer to this is we ever make the switch. We dont have any pets but my dad has a cat. I will send him this. He would love the info! Thanks for sharing with your dad. I have several friends who raw feed. This is really helpful, especially in terms of transitioning to a raw food diet! Thank you. I love sharing information for pet parents. I didn’t realize that dry pet food is so bad for an animal’s digestion. I’m going to share this article with my friend whose dog has been having stomach problems lately. That’s very similar to the way we’ve approached any change in food at all, even switching between brands. We do not feed raw. Yes, great point. Change needs to be done slowly unless your pet is used to regular variety. I started my puppy on raw/steamed fish,poultry,veggies and sprinkle blue buffalo holistic grain free dog food with each small meal… 3 times daily. He’s now 2.5 years with the most incredible teeth, hair and health. I can’t imagine relying on processed food for my pets nutritional requirements and enjoyment. Hi there interesting article. I have two dogs and they both eat dry pet food with no artificial processing etc. I was told that dry food was better for them… Is it just cats this applies to? Thanks. Thanks, Kathryn. No, dry pet food is not healthy for pets. It’s so over processed and typically does not have the meat content a carnivore needs to thrive. My nan feeds her cats dried pet food and some tinned tuna. I’m going to read this to her and see what she thinks and if she would like help feeding her cars this way. Thanks, for sharing. Cats really need a high-moisture diet. Wow, this was very informative in how to transition a pet’s diet. Although I don’t own a pet just yet, my roommate is very health conscious about the diet of her cat. I’ll definitely share this post with her. Thank you, Sean, for sharing. I love seeing pets on a healthy diet. I never had any pet but my cousin has one labrador. I have to check which food he uses to give to his dog. thanks for sharing. Thanks, Prateek for sharing too! Wow Ive never really thought about making the switch to raw food as we try to give our pet the best dry food. But i’m loving the benefits on switching to raw so im gonna be checking it out and deciding on it. Thanks, Jennifer. I hope you check it out. Dry is really not healthy for our pets. These are really good tips! I have definitely been considering it but it is so hard to find a raw dog food brand up here in Northern Norway! Thanks. Maybe start with Facebook groups? Raw feeders tend to group together. The substitution ratio is a smart idea, especially for my stubborn cat. I do need to pay more attention to her health, so a raw diet may be the way to go. Cats are very cautious about change. I believe it’s part of their survival instinct. Darwin’s has a great raw cat food, my guy loves it. I love that you are giving the ratios. Having never had pets, I would definitely need it when I get pets. Great. Thank you. I appreciate knowing the article helps. I think it is a super smart idea to make the transfer process a slow transition. Our pets systems can be so delicate. Great tips. This is very interesting advice – I will deffo use raw food when I get a pet! I just adopt a new cat today. And this post will be a great help. Thanks for sharing. I’m not going to lie. The idea of the pet food being raw for some reason grosses me out. I think it is because it is so close to what they would eat in nature. But I’m sure this is a fantastic thing to do for pets. I imagine it would be great for pets who are older. Healthy natural eating is an essential part of every living creature’s life. We are what we eat. Our paths should be no different. It’s just sad that today many of house pets have never eaten real food. Thank you for your post. Thanks, Anastasia. I know, the pet food industry has drifted towards using our pets as garbage disposals.